Hazard marked his 28 in January, signed for Chelsea in a £32million deal from French club Lille in 2012 and he has gone on to score 106 goals in 341 appearances. Real Madrid with much confident to sign Chelsea star Eden Hazard. Chelsea are holding out for £100m despite Hazard having just over a year left on his contract. 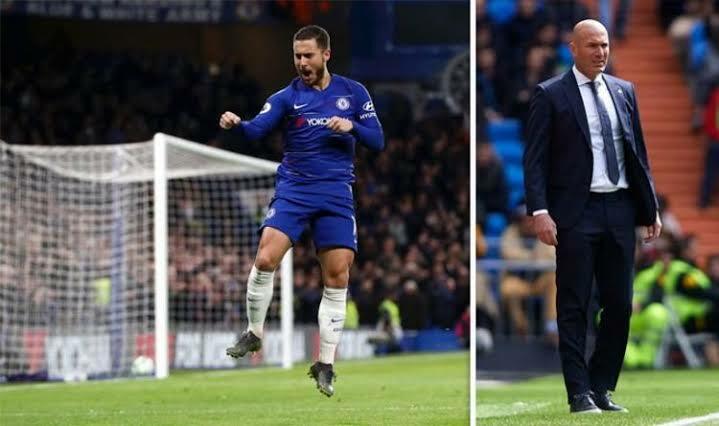 Chelsea's two-window transfer ban, which will come into effect this summer, with the Blues' appeal to be heard on Thursday has made it difficult to arrived at a decision if Hazard should stay or leave. Hazard admitted earlier this season that he is confused between either signing a new deal at Stamford Bridge or consider the switch to Bernabeu. "He said, sometimes my head troubling in every time I wake up in the morning and think I want to go," he said last October. "Sometimes I think I want to stay. It is a hard decision. It is my future." I spoke after the World Cup and I said that I think it is time to change because I played a great World Cup," he said. I don't want to lie today he said, "I am really in the game, I am playing good football at the moment. Real Madrid is the world best club which no one can deny the fact."